I’ll admit it – vacation for me does not typically include cooking. I’m on vacation, and I want to eat in restaurants. But when traveling with extended family or several families, it can be easier and certainly more economical to stay somewhere with kitchen facilities, and cook in for a few meals. And cooking in means grocery shopping. My initial search for a good spot to pick up groceries near Walt Disney World brought me to what seems to be the accepted answer to the question, “Is there grocery delivery for Walt Disney World?” – Gooding’s. At first glance, Gooding’s looks convenient and just fine. However, dig a little, and you’ll find online reviews with words like, “tired”, “picked-over”, “overpriced”, and “tourist-trap”. Hmmm…time to shop around. Where to turn? The knowledgable food-nerds at the Chowhound Florida board! These folks know what they’re talking about. Most of them live in Orlando, and all have a love of good food. So here are their recommendations along with an interactive map. Thank you to the good people of the Chowhound Florida board who offered their suggestions! Delivery to the local area, including all Disney resorts. 4. India Spice House, 7649 Turkey Lake Rd, Orlando, FL 32819 (407) 226-2727. Small Indian grocery with bulk spices. 5. 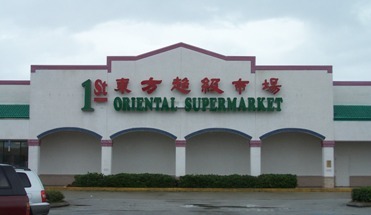 1st Oriental Supermarket, 5132 W Colonial Dr, Orlando, FL 32808 (407) 292-3668 http://1storiental.com/index.jsp. 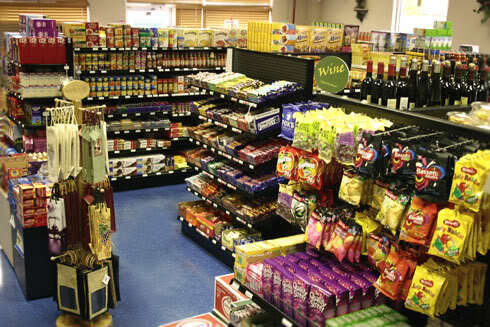 The largest Asian grocery in the area, with a huge variety of food, plus a food court! 6. Dong-A Market, 816 N Mills Ave, Orlando, FL 32803 (407) 898-3807. Fresh Asian veggies in a warehouse environment. 7. 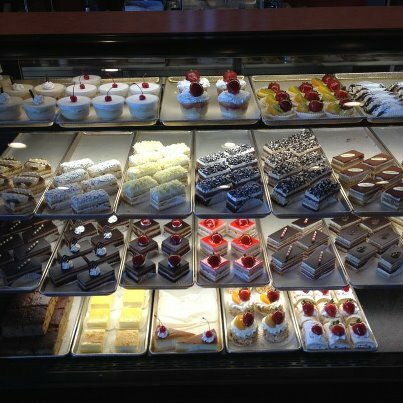 Fortuna Bakery & Cafe, 12701 S John Young Pkwy, Orlando, FL 32837 (407) 855-7070. Fantastic Columbian bakery. Empanadas and lovely sweets. 8. Meat Emporium, 12720 S Orange Blossom Trail, Orlando, FL 32837 (407) 856-2100. http://www.meat-emporium.com/en_main.php. Spanish speaking meat market. Great cuts of meat and friendly customer service. Have you shopped at any of these spots? Know of someplace I left off? Share your feedback in the comments!